By Editor - Tailored Jeans on February 22, 2014 . How do you decide which fabrics are best when creating a new pair of jeans? In most cases we're coordinating with mills to develop products from scratch: selecting yarns, indigo shades, weights, and selvedge ID. As you’d expect, each mill usually has a specific trait or specialty, and we try to develop fabrics according to their strength. 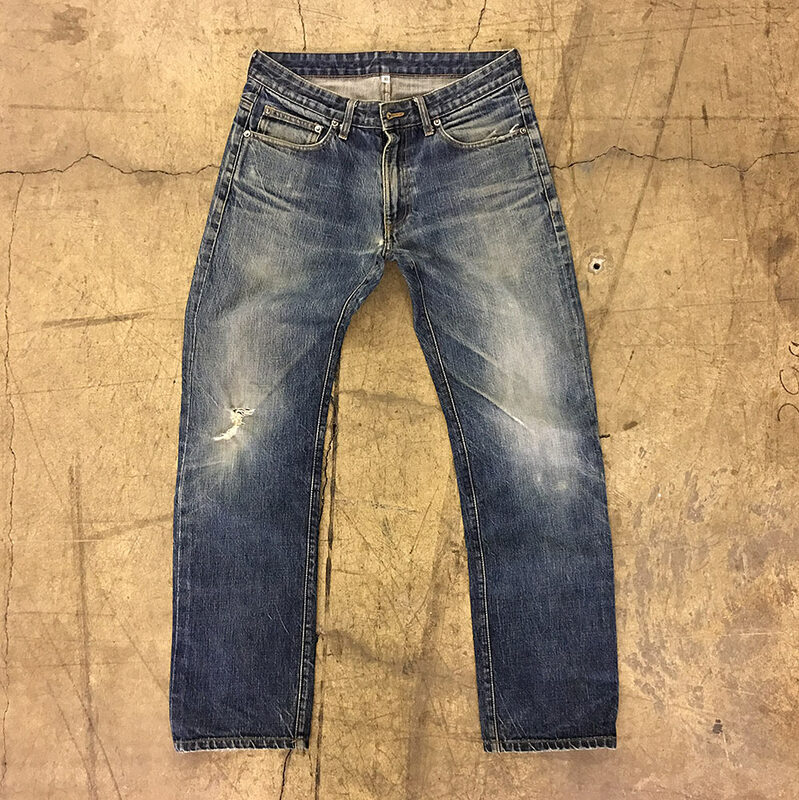 Isko in Turkey, for example, is known for its stretch denim, while Kurabo in Japan is known for its original selvedge dye range and its beautiful green casts. Collect (also Japanese) is focused on redefining authenticity and revisiting yesteryear. What’s important is knowing who is the best to go to for what type of product, and that’s the great thing we pass on to our customers. What's the best weight—how many ounces—for a pair of year-round jeans? Lightweights, 9–10 oz., are great for summer and vacation use. 11–12 oz. is my ideal year-round weight for almost everyone. The denim enthusiast probably considers 13 oz. to be the lightest he would consider, and that’s really the starting point of the mid-heavy-weight denim, which can range from 13 to 16 oz. Novelty weights are anything above 16 oz., in my book. For 95 percent of the guys at CMTJ, we’re putting them into 11–13-oz. denims. With so many different cuts of denim in the market, how do you know which one is the best to buy? When looking for the best pair of denim to buy, it is important to focus on the fit and quality. With regard to fit, you want to find something that is comfortable but not too loose, and most importantly, something you feel confident in. I always suggest sticking with styles that flatter your body type, so try to avoid jeans that are trendy and style being in fashion (Well Denim is the Fashion, it can never go out of fashion), unless you're able to make that work. For almost all guys, you should be buying a regular-rise pair of slim or straight-leg jeans with a slight taper. You can check this by folding the bottom of your pant leg up to the knee (approximately 13 inches down from the crotch). What do you think is better fabric, traditional raw or selvedge styles or modern washed denim? I think there’s a place for both raw and washed denim. My only preference is that you use selvedge denim for both, as I think the best denim in the world comes from a shuttle loom. What is the best way to care for your favorite jeans? If you have a raw jean, the best advice is to go as long as you possibly can without washing for the first time, and in a perfect world that should be four to six months of everyday wear. When you’re ready to wash, turn them inside out, lay them in cold water, put a little of our “Denim Solution” in the water or Woolite Dark. Just leave it there for 45 minutes to an hour. Then just pull them out, spray them off with clean, fresh water, and let them air dry. The only time you want to scrub it or agitate it by hand is when you have a deeply soiled stain and you’ve got no other option. When we’re talking about caring for pre-washed jeans, you can be a bit more liberal with the wearing/washing if you so choose. I still try to keep the washing to a minimum, as it will help you maintain the base color as well as any tint or 3-D effects that may be on the garment. 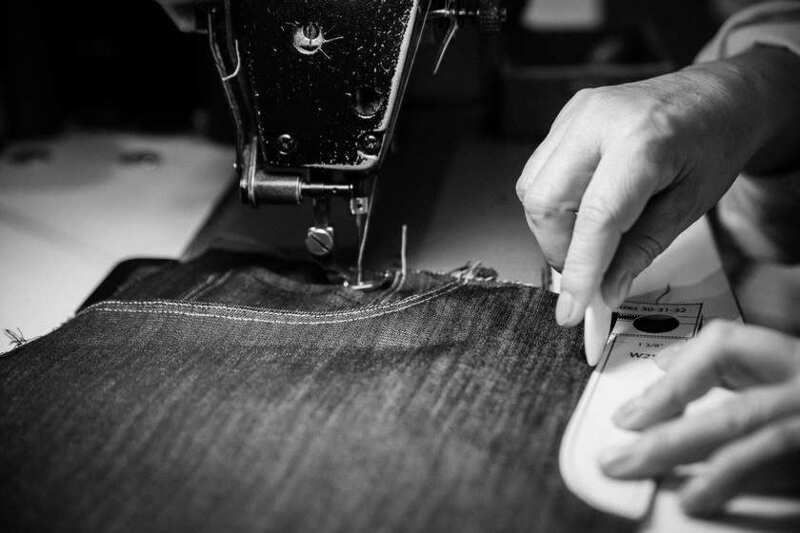 What is the ideal lifespan of a quality pair of denim? Your denim will last as long as you are willing to take care of it. I mean, wear and wash with consideration, and mend it when required. Most raw-denim jeans will have a blowout or two. It’s inevitable and totally normal. What’s creating that wear is a combination of your activity and the starch that’s been added to your denim in order to make it more usable in cutting and sewing. A few tips for keeping your jeans going for as long as possible: Always hang your jeans, never fold. Wash inside out only when needed, and repair whenever you first start to see them looking threadbare, i.e., having a hole. 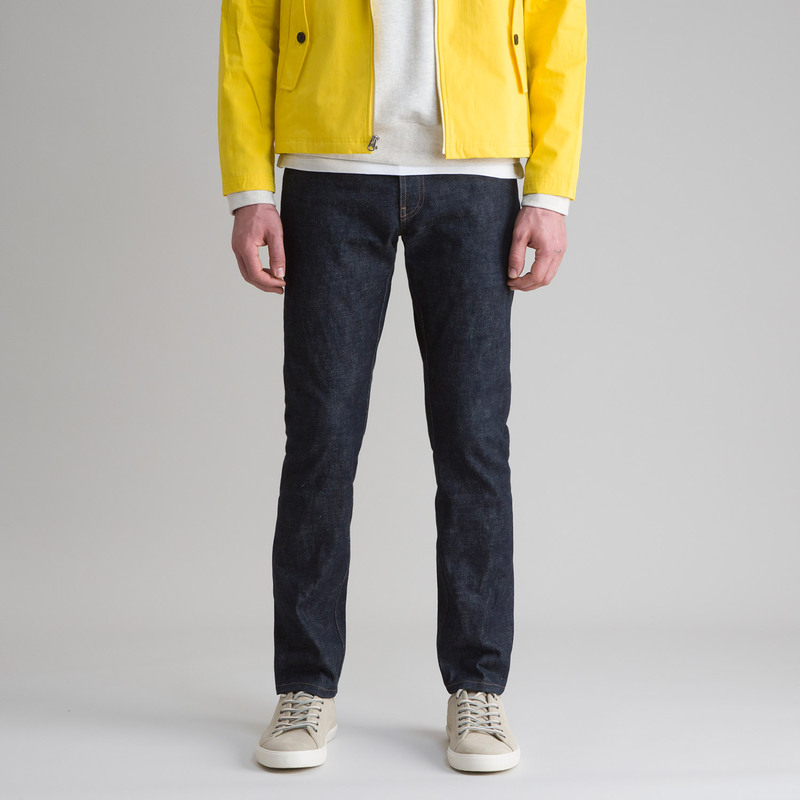 Are certain types of denim appropriate for different occasions? For example, should you go with raw for casual Fridays and distressed for the weekend? There’s no real right or wrong answer here, but I think common sense should prevail. 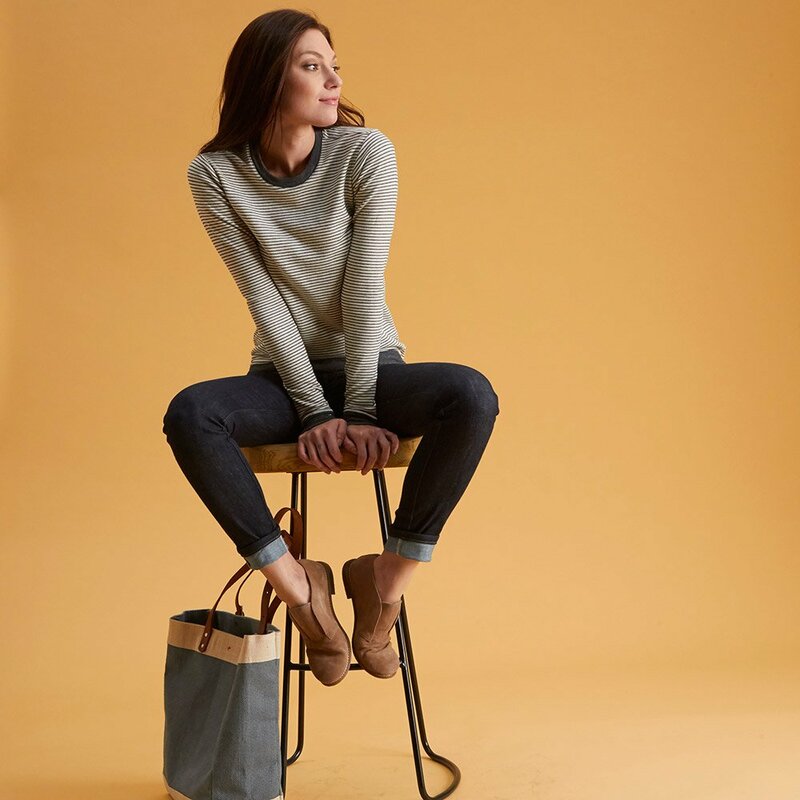 Darker, cleaner denims are always going to appear dressier and perhaps more “appropriate” for the work environment, whereas vintage or distressed-looking jeans certainly project a more casual attitude. I think you have to know your audience/occasion and be sensible. I do think you can wear denim to almost anything these days, but keep it appropriate.